This timely and accessible text introduces, theorises and practically applies two important concepts which now underpin early years practice: those of `playful learning' and 'playful pedagogies'. 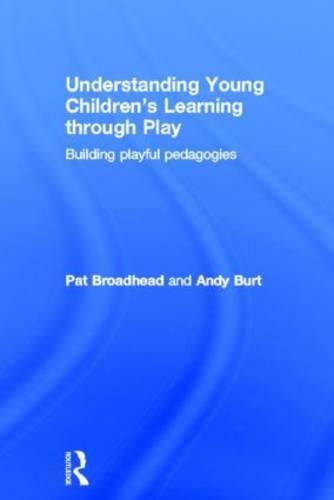 Pat Broadhead and Andy Burt draw upon filmed material, conversations with children, reflection, observation, and parental and staff interviews, in their longitudinal study of outdoor and indoor play environments in an early years unit. This research-based text offers extensive insights into related theories, as well drawing on the authors' skills and knowledge as researcher and as class teacher in order to provide opportunities for personal reflection and possibilities for practical application in early years classes and settings. Discussing both indoor and outdoor environments, the text explores ideas surrounding `open-ended play', and `the whatever you want it to be place'. It illustrates how the themes of children's play reflect their interests, experiences, knowledge gained at home and in school, and their cultural heritages. By showing how children become familiar and skilful within open-ended play environments, the authors illustrate how the children's co-operative skills develop over time as they become connected in communities of learners. Alongside the examples of children's playful learning, the book also considers the implications for resourcing and organising playful settings through playful pedagogies that connect with the Early Years Foundation Stage curriculum (DfES 2007) and with the Tickell Review, ongoing as the book went to press. Understanding Young Children's Learning through Play uses children's perspectives on their play to illustrate how rich their personal understandings are. It also includes parental reflections on what may initially appear a risky and unusual outdoor environment, and it draws attention to the importance of conflict resolution in play in order to extend children's resilience and assertiveness. This insightful text will be of interest to students of early years education, early years practitioners, academics and researchers.